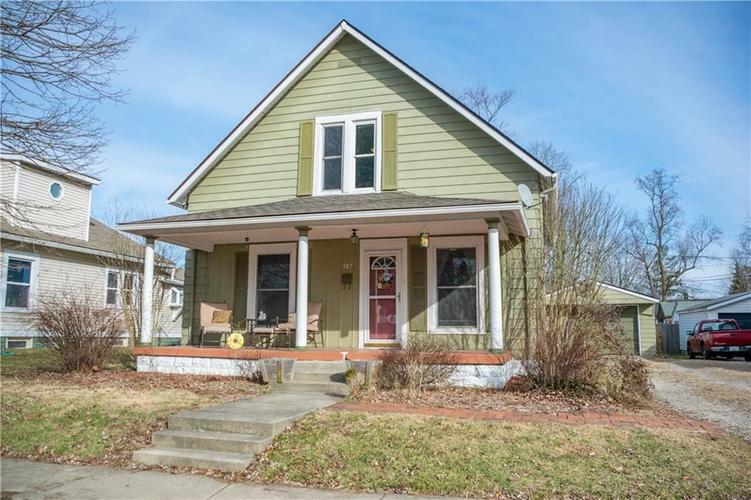 Charming 2 bedroom, 2 full bath near Downtown Franklin. Hardwood floors throughout the main level, with plenty of room for entertaining. Large kitchen with breakfast bar, and a plethora of cabinet space. The upstairs boasts two large bedrooms and a full bath. Large master bedroom walk-in closet with attic access. Detached 1 car garage, mini-barn and fenced in back yard. Minutes from everything Franklin has to offer! Directions:From US 31 & Jefferson. East on Jefferson to Walnut. North on Walnut to home on right between Maple Lane and Herriott Street.